According to D-FISH, the country’s fisheries production in April gained 584 thousand tons, up 3.3 per cent compared to the same period last year, making up Jan-April figure 1.8 million tons, up 3.2 per cent year-on-year. Regarding fishing activity, the weather was rather favorable, coupled with low price of fuel, encouraging the fishermen to go fishing. Fishing production in April gained 343 thousand tons, bringing the Jan-April figure to 1,066 thousand tons, up 6.3 per cent and 4.5 per cent, respectively. Regarding aquaculture, the weather was unfavorable for farming. 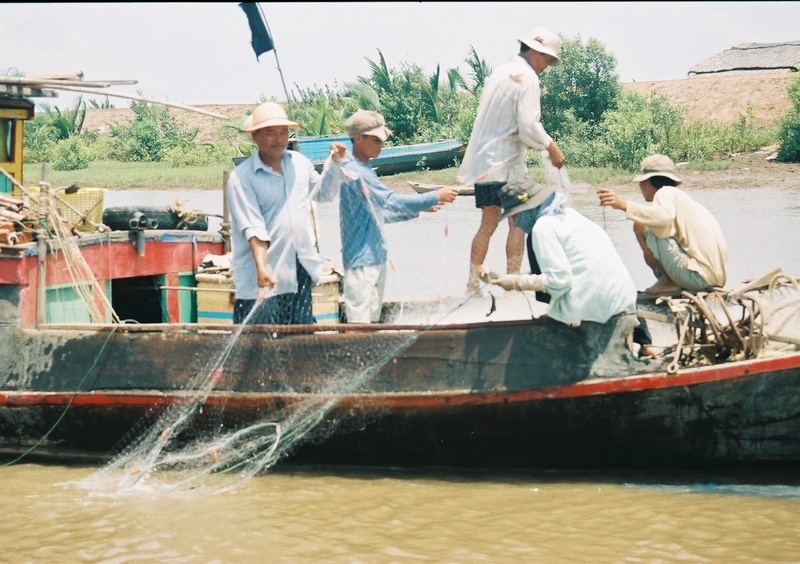 Hot weather and great changes of temperature between day and night, affected fish and shrimp farming. Shrimp farming in April gained 28,959 ha, including 20,368 ha of black tiger shrimp and 8,583 white-legged shrimp. This made up Jan-April figure 534,315 ha, including 511,579 ha of black tiger shrimp and 22,736 ha, up 5 per cent compared to the same period last year. The total aquaculture production in April gained 239 thousan tons, equivalent to the same period last year, making up the Jan-April figure 751 thousand tons, up nearly 2 per cent.